It’s always fun when someone you follow writes a book. It’s even more fun when someone you actually know writes one. I’m so happy that my real-life friend Peta’s book is now available! Welcome to my stop on her book tour. 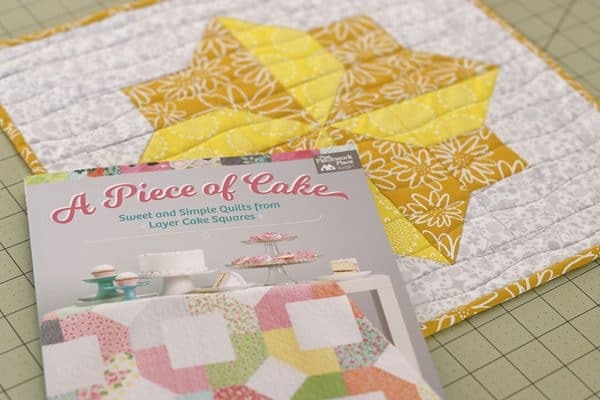 A Piece of Cake has 14 beautiful and easy-to-sew projects that use layer cake (10″) squares. 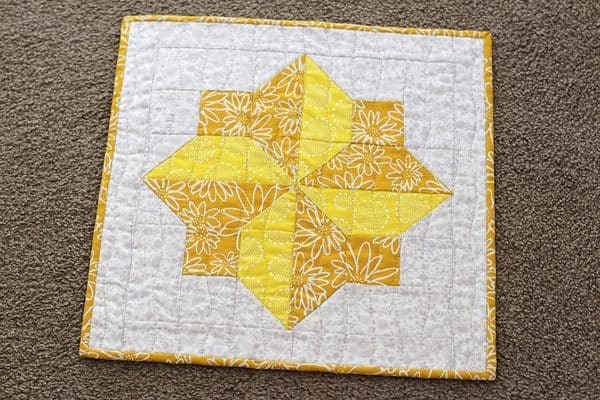 My 11 yr old was in need of a table-topper for her bedside table, to match her yellow log-cabin quilt. I handed her the book and told her to choose her favourite pattern (I was planning to adapt it to mini-size if she chose one of the full-size quilts). Lucky for me, she loved the Spin Pillow pattern, which meant very little size adjustment was required. 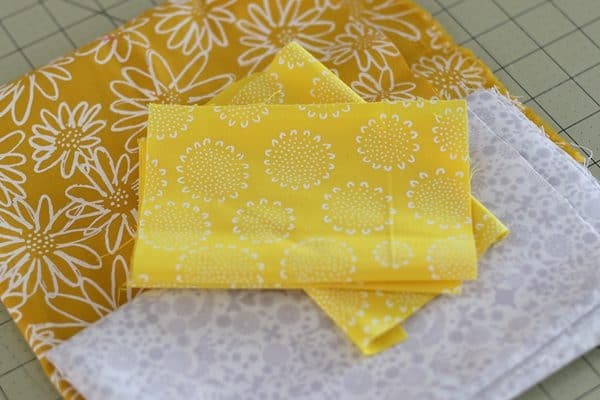 Together we chose some yellow (Karen Lewis) and light grey (Alison Glass) fabrics to match her quilt, and then she left me to it. I love these Karen Lewis Blueberry Park fabrics – so saturated and with just enough pattern to keep them interesting, but not overpowered. 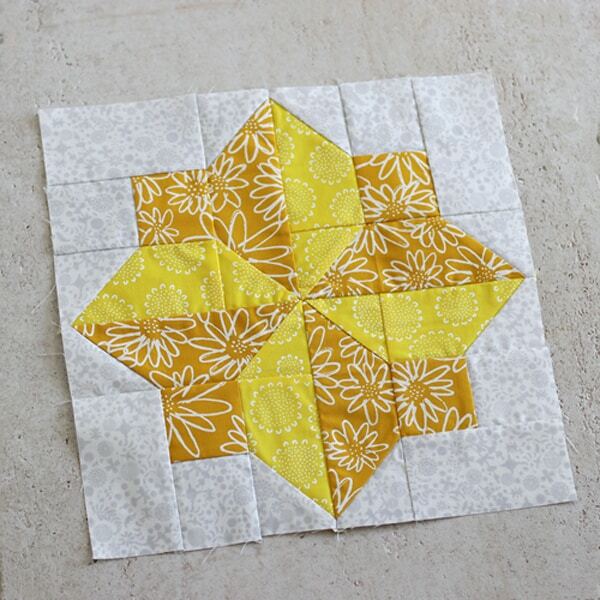 I sewed up the block very quickly, and swirled the centre seam to help it sit nicely. I kept the border the same as the background fabric and reduced the width by about half an inch so the panel would fit my daughter’s bedside table. 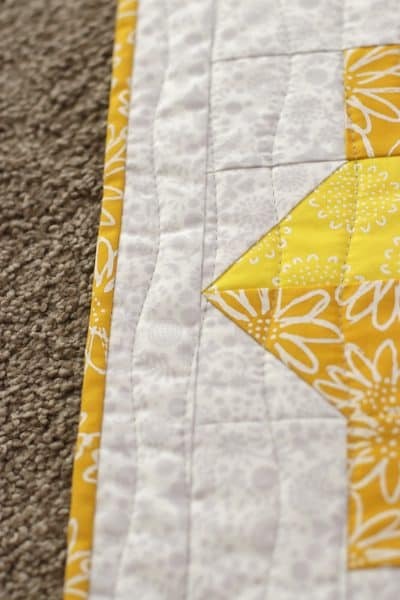 I quilted this one with wavy lines using my walking foot and with only the seam lines as my guide. 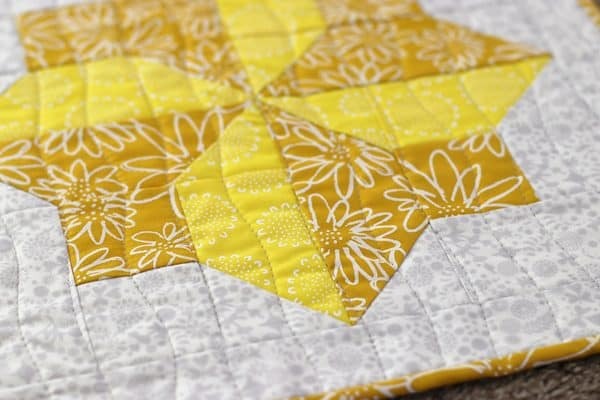 It’s such a therapeutic pattern to quilt – very relaxing! 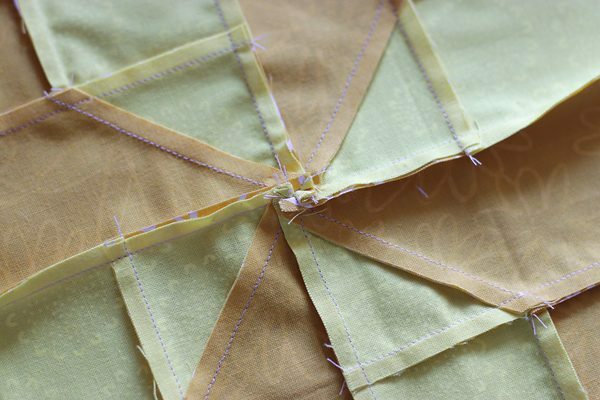 And finally, I used a thin binding (my binding strips are only 2″ wide) in the darker mustard yellow. I love how it turned out – very cheery and pretty, but understated as well. And best of all, my daughter loves it too. Phew. And don’t forget to buy yourself a copy of her book – available at all fine book and quilt stores! 10,000 subscribers! How I smashed my newsletter goal with ConvertKit. If you have a blog or are considering one, or if you’re thinking about starting an email newsletter then read on. I have plenty to tell you. Like most people, I started my email list with Mailchimp. It was free, it was pretty and it was free. Did I mention it was free? Mailchimp wasn’t as intuitive to use as I would’ve liked, but I muddled through and had an email sign-up box on the side bar of the blog by April 2014. I think it said “Sign Up for my Newsletter”. Rivetting stuff. My very first email newsletter went out in June 2014 to 62 people, which seemed like a lot back then. 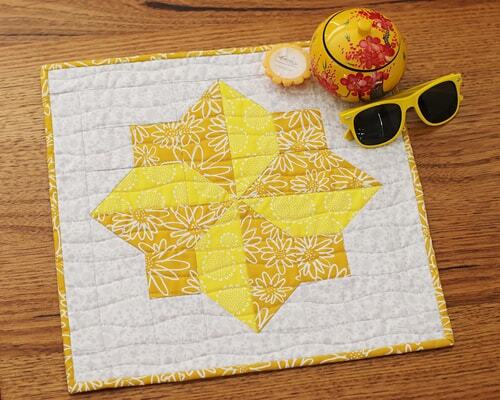 To encourage readers to sign up for my newsletter I had a free quilt pattern PDF linked to my Mailchimp sign-up email. Whenever someone confirmed their email address they received this free pattern automatically, which was pretty nifty. I didn’t have to sit by the computer and attach and email the file every time someone signed up. In 2 years I managed to grow my list with this free pattern offer to well over 2000 subscribers. The date was now April 2016 and I really needed a new email newsletter provider. Mailchimp was no longer free as I had over 2000 subscribers, plus it was starting to cramp my style. I wanted to put an email sign-up box within a blog post, not just in my side bar. This was beyond my capabilities with Mailchimp (not to say it can’t be done, but I do not have coding skills). And most importantly, I wanted to offer more than just one free pattern to my readers. 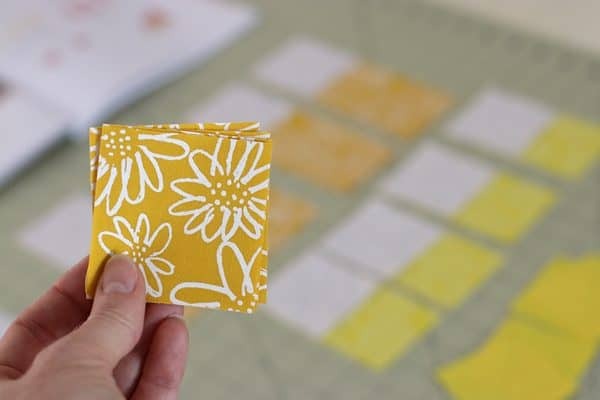 I wanted to offer a free pattern or printable tutorial for EVERY blog post (or close to every post) that would send out automatically, with no action on my part. Again, I couldn’t do this with Mailchimp. So I shopped around and made a PROs vs CONs list of all the email newsletter software out there. And, long story short, I chose ConvertKit*. ConvertKit was created by a blogger who couldn’t find software to do what he wanted, so he made it himself. It’s easier (for me) to use than Mailchimp. I can put sign-up boxes in my blog posts and have a different PDF attached to each one. Without a doubt, this has exploded my email list! I can set up an automatic email series to send out based on different triggers. For instance, I have a 3-email “welcome series” that goes to everyone who signs up to my email list. This has really taken my understanding of my audience to a new level. I can automatically have subscribers tagged according to an action they might take. For instance, if someone opts-in through my wholesale sign-up box, they get tagged with “Wholesale List”. Then, if I have an update just for wholesale customers, I can send it to only them. I can tag someone when they purchase one of my patterns (yes, ConvertKit “talks” to my SendOwl pattern purchase software, so cool) so I don’t have to send my “sale ending soon” emails to anyone who’s already purchased. Clever! A really helpful FAQ/help section, with articles and videos. Their customer support (with real, live people!) is also well done and timely. And there are more layers to drill down into to see how things are performing, for those who like that sort of thing. Greater interaction with my readers. We all know blog commenting is dwindling – it’s hard to know if what you’re writing is striking a chord. My 3-email welcome series has been so good for introducing myself and the blog, and making sure readers find all the interesting stuff hiding in my archives. It also gives me the chance to ask if they have any quilty dilemmas I could help them with. From this I can gauge the topics and the level of detail my posts should have. I’ve also had some wonderful email replies from people just saying hello, telling me about themselves and showing me what they’re currently working on (always so much fun to see). Nancy, the truck driving quilter (she quilts in her truck!!) is amazing. Better service for my readers. As I mentioned above, I can tag readers according to an action they may take. I don’t have to annoy people with further sales emails if they have already purchased. If you’ve already been through my welcome series, you shouldn’t ever see it again. If you haven’t opened an email in 90 days, I can send you an email asking if you’d like to be removed from the list so your inbox isn’t filled with email you don’t want to read. In the future, I could send out an email asking which of 2 subjects interests you the most, and based on the link you click you’ll receive an automatic email series on that subject and the option to purchase a pattern. Nice! Achieving my email list goal 5 months early. As I mentioned, it took me 2 years to gather 2600ish subscribers with Mailchimp. I signed up for ConvertKit in April 2016 and doubled my list by the end of that year (5500 subscribers). For 2017 I decided to set a big goal – to reach 10,000 subscribers by the end of the year. By crikey, I did it by July 21st, 2017. 10, 106 – Wheeeeee! As an aside, when you hover your mouse over the bars (see below), they show you which sign-up is responsible for those subscribers. Cool. I’m not doing anything very different since leaving Mailchimp except using ConvertKit* to offer multiple free PDFs. Remember those lessons on compounding interest in Economics class? Well, this is the same principle. If you put out a new post every 2 weeks or so with a sign-up box in it, they will start to bring in more and more subscribers. Every one of those posts lives on at your blog and continues to bring you new readers, who if you are lucky, will share their inbox with you. I also went back to my old posts and updated all of them with free downloads. In some cases, the PDF was just a copy of the blog post itself, so not much work was required. I routinely have people ask if I have PDF versions of my posts as they like to save and print them to use at the sewing machine. This solves that need and brings in more subscribers at the same time. Win, win 🙂 If you’ve already got free patterns or tutorials on your blog, you could easily spend a few hours and add a free PDF download offer to those posts and get the compound interest effect working for you. Email is where the party’s happening. People are spending less time reading blogs (unless your email directs them to your post) and only a small percentage of your Facebook or Instagram audience will see your posts. I don’t know about you, but I check my email every day. And I read every single thing I get. If you want to connect with your readers, their inbox is where you want to be. They will appreciate being up to date with everything you’re up to! 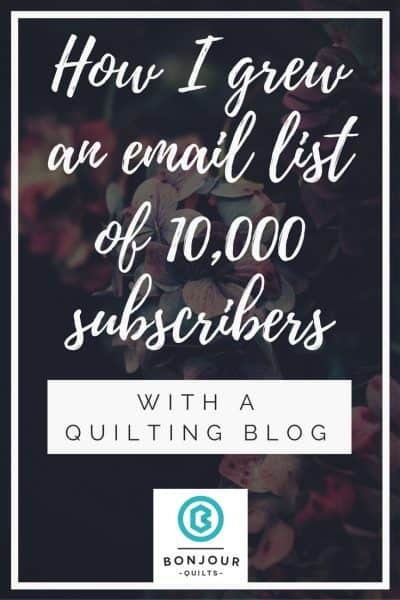 So, if you’re a quilter/sewist/crafter who is struggling to build your email list, you would benefit from having ConvertKit as your email software. 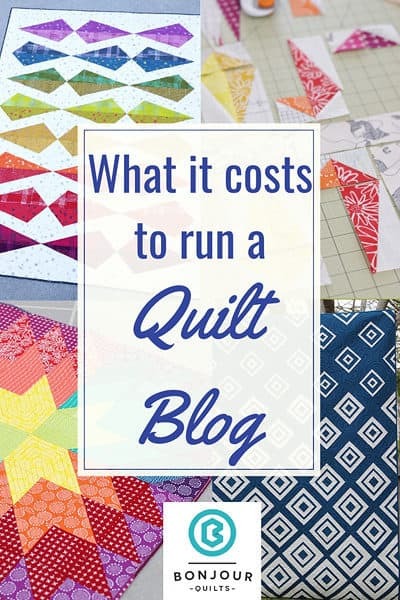 We crafters already, naturally, have plenty of posts that are perfectly suited to having PDF download accompaniments – so why not take advantage of that to build your list? I’m very happy to be an affiliate for ConvertKit* as it’s a product I use myself. If you think it might be a good fit for you, too, feel free to shoot me any questions you have via email. I’ve got plenty of experience using ConvertKit in a craft blog scenario and should be able to help. ETA: I’ve got a screencast video here that shows you inside my ConvertKit account (the “back end” inside the software) and exactly how I use it. * As mentioned above, I’m an affiliate for ConvertKit, so these links are affiliate links. If you decide to use ConvertKit via one of these links, you will be helping to support this blog (thank you!) and my door will always be open for any questions you may have.